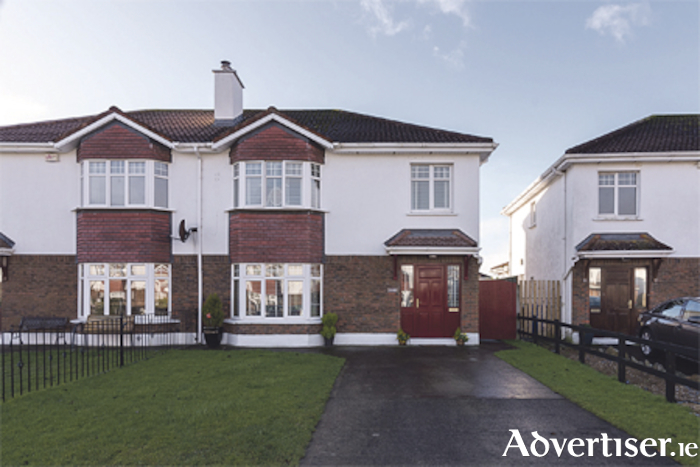 This large and beautifully presented semi-detached property is situated in a sought-after residential area on the east side of Athlone, and is a short walk by footpath to all amenities and Athlone town centre. This property provides spacious, well laid out accommodation, off street car parking and a large sunny south west facing rear garden. Inside, four bedrooms, two reception rooms and three bathrooms provide all the space necessary for a family to grow. Decoration is very good throughout, and outside buyers will find a large southwest-facing garden and patio, two sheds, and parking space for two cars. This property measures approximately 120 square metres and has a C3 BER rating.